Director of rugby at Bath, Todd Blackadder, has backed England fly-half George Ford to lead the club's revival in the upcoming season. The Recreation Ground outfit had a disappointing finish in the previous season where they managed ninth position in the Aviva Premiership while also was eliminated from the European Champions Cup with a quarter-final defeat to Leinster following which the head coach Mike Ford was sacked from his position. Recently, Bath had appointed Guy Mercer as their captain for the upcoming season while Ford was named as his deputy. Drawing comparisons with New Zealand's Dan Carter, Kieran Read and Beauden Barrett, the former Crusaders coach described Ford as "unbelievable" and a "player of a generation." 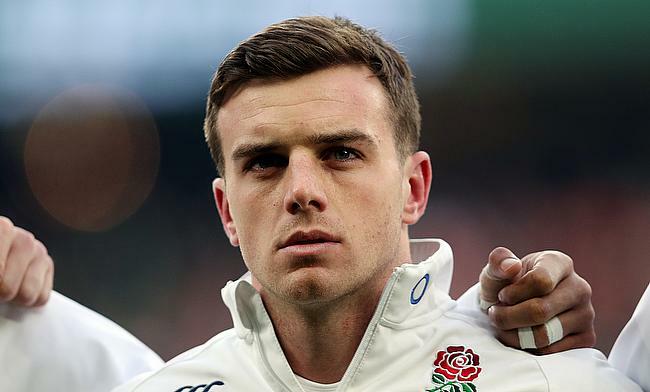 "From what I've seen in a short time, George Ford is unbelievable. He's going to be exceptional," Bath's director of rugby said. "I'd put him up there with Beauden Barrett and Dan Carter and I think he'll be a player of a generation, I really do. 'He's got vision, he sees the opportunities and he's got the skill-set to execute his decisions. He's got a great pass, he's got a great kick, he's tough and he's got genuine gas. "What I love about him is that he plays right up to the line and takes on defenders, so he's got everything. "He's very much the same as Dan Carter was at this stage of his career. The thing you won't know about George is that he's a student of the game. "When it comes to the technical and tactical side, he just gets it. You come across one or two natural leaders, but he's got it all there. "In training he is talking about the games. He understands defence and he understands attack. "He's very much like Kieran Read - it's like having a conversation with him. He's almost like a professor of the game." Following the exit of his father, Mike, there were reports circulating that the 23-year-old might switch to a different club but Blackadder affirmed that the issue has been taken care of after having a word with the England international. "I think it has been sorted and that is a real testament to George. He has been fantastic that young man. He is a natural leader," Blackadder said. "He has been open with me which has been really nice. I need to make sure that he can go out there and express himself. These things are pretty tough. Family always comes first."